Now that you’ve translated WordPress into your language, it’s time to create a website for your locale. These are called Rosetta sites (after the great Rosetta Stone) and will be setup at [lang].wordpress.org. For example, Portuguese has the language code of “pt” and is given a domain of pt.wordpress.org..
A Rosetta site is your gateway to your local community. It is also the place where people go to download WordPress in your language. Rosetta sites are also used to give means of communication with local WordPress contributors and showcase great websites created with WordPress. When you request a new locale, you can also request a new Rosetta site for your community. Setting it up is as easy as setting up any WordPress site. It is recommended that it has a team page, a contact page, a blog and a showcase page and a page explaining potential contributors how to join the translation team. The first thing you should do is add your team members to your brand new site. Unlike a standard WordPress installation, Rosetta sites have a a couple of additional roles that are used for giving permissions to translation editors. 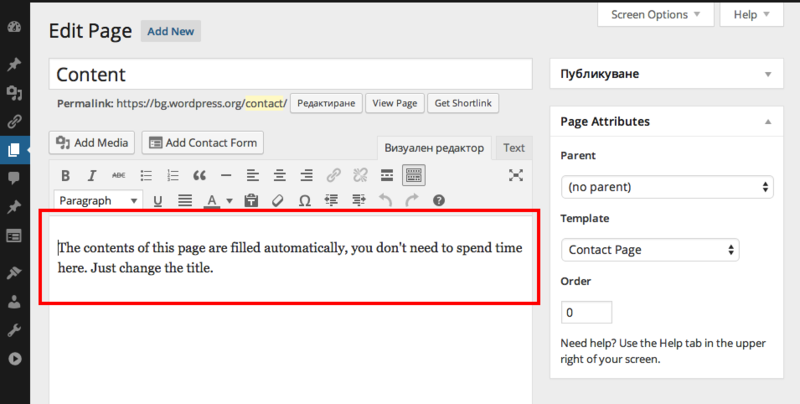 Those are integrated with Translate WordPress’s user permissions, and will give that users the right to approve suggestions and corrections. You also have a way of giving translation editor permissions for specific projects. Read more about it in the Roles and Capabilities section of the handbook. The header image can be configured at https://[site]/wp-admin/themes.php?page=custom-header, where [site] is your Rosetta URL. Be sure to upload an appropriately-sized image. If the text direction of your Rosetta site needs to be RTL (right-to-left), you can configure that yourself by translating a specific this string in the WordPress project (Please change the locale in the URL with your own locale code). For the change to take effect, you will need to request a deploy and wait for the Polyglots technical lead to deploy the changes. The above process will make your Rosetta site, local theme repository and local forums RTL. The plugin repository is not covered by the process above. To make your plugin repository RTL, please post a request on the Polyglots blog.